I speak of this only because I happen to notice it today, a day in which busywork afforded me the opportunity to listen to stereo recordings with a single ear bud (not ideal, but embraceable), while performing my spreadsheet-happy daily chores in a swift and efficient fashion. Here, for those who’ve never asked, is a sprint through the progression of a normal, 9-5 (10-7) day (in regards to my organic music consumption). 9:31am: Feeling a bit homesick and decide to mentally frolic through the painted walls of my feverish memory as a youngen at my Grandparent’s farmhouse and cue up 50 Number One Country Hits. 9:56am: Arrive at work and continue the 50-track playlist and wonder, countless times, why I haven’t ordered 1975’s Red Headed Stranger by the great Willie Nelson on vinyl ($5.85 off Discogs.com… I mean, k’mon!). 2:11pm: Finish the epic 50-track memory-machine-gun and dry the reality from my eyes. 2:12pm: Cue up The Pharcyde’s Bizarre Ride II and remember that this album was once, and for a very long time, my favorite album. 5:36pm: Finish BRII and feverishly, and without music, complete my daily objectives. 7:56pm: With a quasi-clear head, and the freedom of the evening, I drive home and enjoy the lamenting screams from Refused’s The Shape of Punk to Come and think to myself, in an empty car, I should have been a musician. 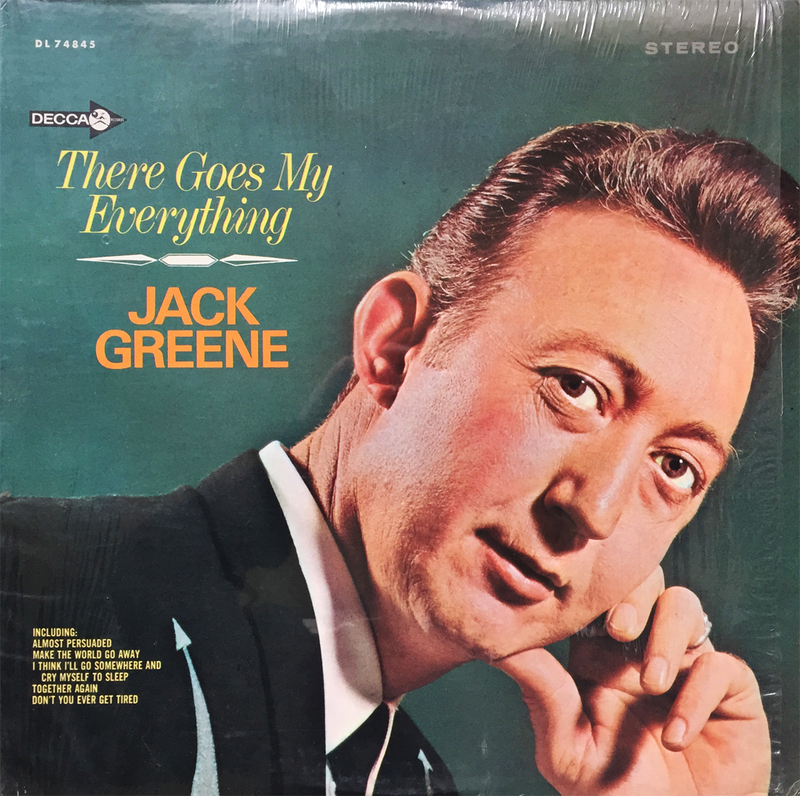 For what it’s worth, I’m going to make it a point, today, at least, to finish these waking hours exactly where I started… with Jack Greene’s There Goes My Everything. Happy trails, and pleasant evening, kids.